The Gold Standard For Auto Body Care! Simply enter your email address below & we'll email you valuable coupons on our services monthly! 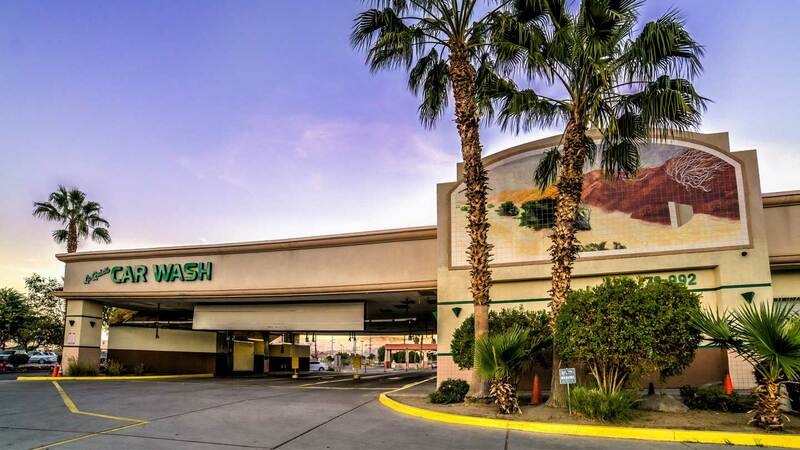 La Quinta Car Wash is the finest car wash in La Quinta. 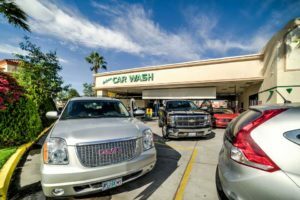 We feature the very best vehicle washing equipment as well as a service staff that is dedicated to providing you with the best washes in the desert. Choose from one of our many wash packages & then relax in our comfortable waiting areas. By washing your vehicle at La Quinta Car Wash you are saving around 5 times as much water as washing it at home. Our advanced recycle systems allow us to use an average of only 25 gallons of water per car, compared to over 140 gallons typically used when washing at home. That’s a huge difference! La Quinta Car Wash will always work to build our commitment to the environment by upholding the best practices and standards. Our Green Car Washes reclaim and recycle nearly all of our water. Our water High Pressure Nozzles allow us to use less water. On average 25 gallons of water per car compared to 140 washing at home. All water is treated before reaching the sewer systems. There is No chemical run off into storm drains. We strive to conserve energy & reduce pollution & waste. We often purchase recyclable products & supplies. 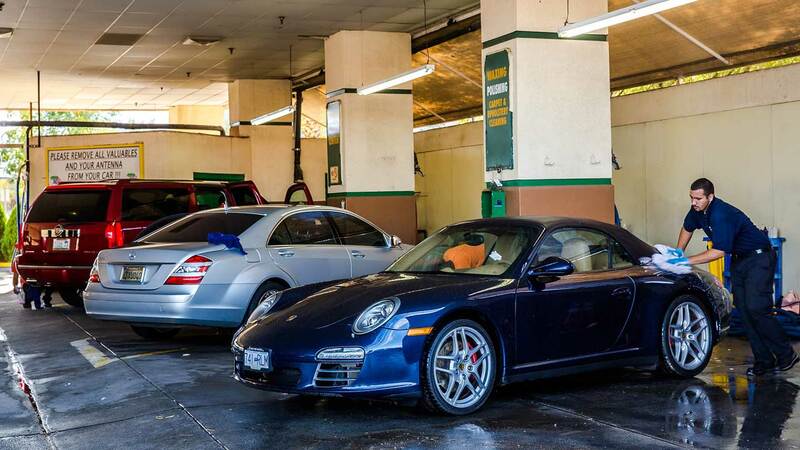 La Quinta Car Wash offers the best detail services in the desert. Our detail services can keep your vehicle’s paint always looking like new and can restore dull, scratched and unmaintained paint surfaces to like new condition. Our detail services affordably give you that new car look. Nothing Matches The Feeling of a Recently Washed or Detailed Vehicle! 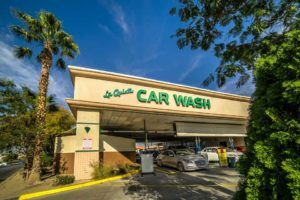 La Quinta Car Wash takes pride in providing your vehicle with the best car wash in the desert. 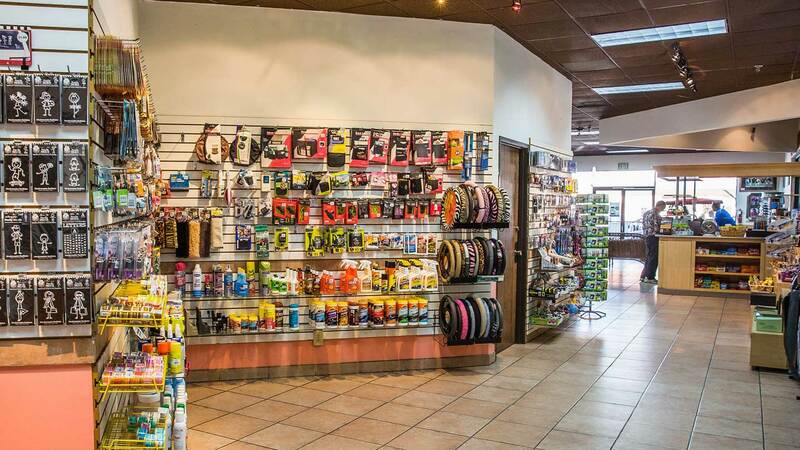 Our staff is happy to help you select the Wash Package that best suits your needs. We look forward to cleaning your vehicle! Prices are for most vehicles certain charges and fees may apply. 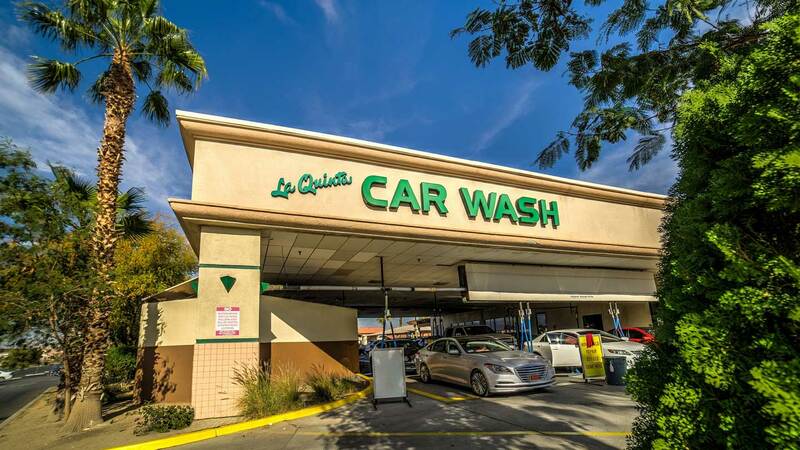 La Quinta Car Wash and Detail Center is now offering Unlimited Washes. This is the affordable and convenient way to keep your vehicle consistently clean! Want your vehicle washed the Old Fashioned Way? 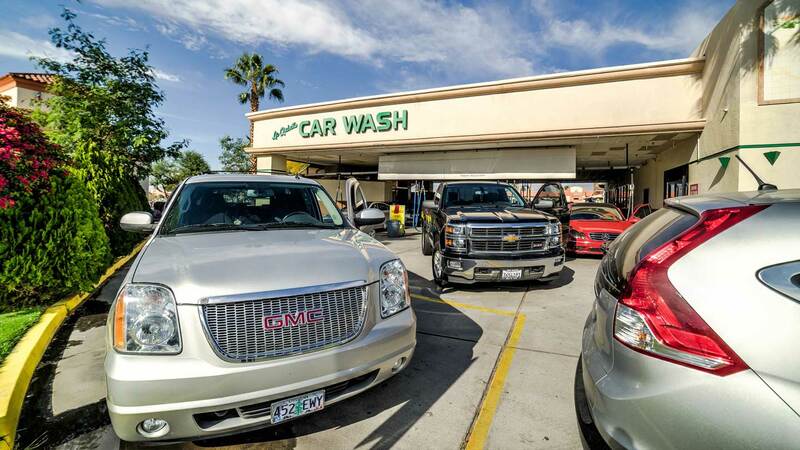 La Quinta Car Wash takes pride in providing your vehicle with the best detail in the desert. Our staff is happy to help you select the Detail Package that best suits your needs. We look forward to detailing your vehicle! All prices may vary depending on condition, size and need of the vehicle. 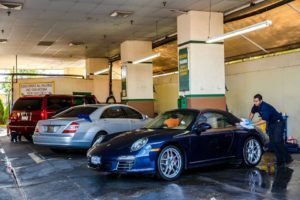 All of our detailing services include The Works Full Service Car Wash.
Take a look at our La Quinta Car Wash photo gallery!